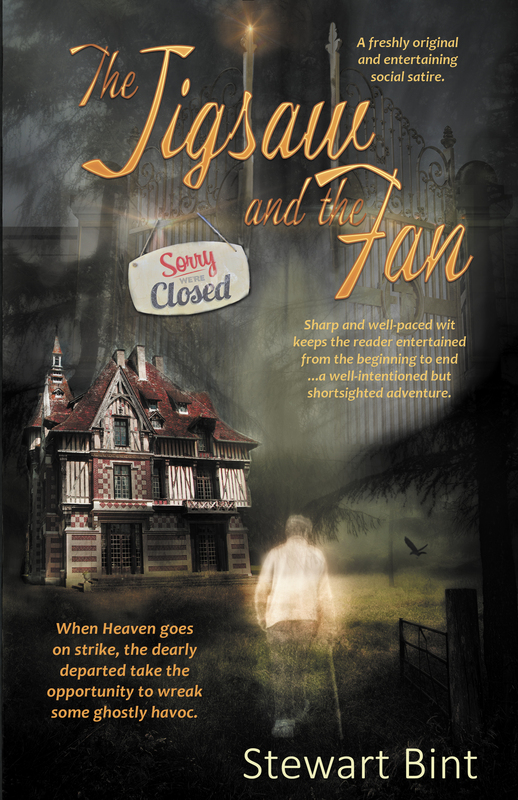 Albert Carter has died, and finds himself in the spirit world to get sorted out at St. Christopher’s gates. Having been a successful shop steward picketing the management of Jebson’s Glue Factory on behalf of his colleagues, he feels confident his final destination is Heaven, with the rest of the decent, honest working class. However, upon his arrival to St. Christopher’s Doomsday Ministry, an inspectors’ strike causes all spirits in transit to be temporarily relegated to Earth as ghosts until negotiations can be met. Immediately upon arrival he decides to ruin the capitalist family and begins his unlawful haunting as the Ghost of Marlston Manor. Watching him from the heavens is a host of guardian angels, elders, overlords, and scribes—all scrambling to undo the havoc that Albert is blunderingly creating in his short stint as a ghost. The final straw comes as Albert riles up a “fright” of ghosts to collude and protest their sentences on Earth—and Albert finally faces St. Christopher.